The National Investment Center for Seniors Housing & Care (NIC) has named David Nash and Mike McCurry to its board of directors, according to a press release. Nash is the dean of the Jefferson College of Population Health at Jefferson University in Philadelphia, while McCurry is the executive vice president and COO at Mercy Health, a non-profit health system based in St. Louis. In their new roles, the two health care experts will provide insights into NIC’s research and events. NIC also recently appointed to its board Tom Herzog, CEO of HCP; and Mercedes Kerr, executive vice president of business development at Welltower. Investment bank and wealth management firm HJ Sims has hired Melissa Messina to the role of senior vice president of investment banking, the company recently announced. Messina, who will be based out of the firm’s Rockville, Maryland, office, was previously a principal in the Baltimore and Washington, D.C., offices of Miles & Stockbridge and a member of the firm’s real estate and transactional finance practice. There, she focused on public and commercial finance with an emphasis on real estate, senior living, health care and economic development. Mike McKee, current executive board chairman and former interim CEO of HCP Inc. (NYSE: HCP), will be retiring, the real estate investment trust (REIT) announced Monday. McKee, who joined HCP’s board in 1989, will step down from the executive chairman role effective March 1. He will remain with the Irvine, California-based company in a consulting role though the annual meeting in April, then retire from the board of directors. Read the rest of this story on Senior Housing News. Springpoint Senior Living on Jan. 29 appointed John Harz as its newest senior vice president of human resources, according to a press release. Harz has experience developing human resource strategies, specifically in the areas of employee engagement, talent and leadership development, succession planning, recruitment and retention, performance management, staff education, training and development and labor relations. CNL Financial Group has announced the promotion of two leaders at CNL Healthcare Properties and CNL Healthcare Properties II, non-traded real estate investment trusts (REITs) that invest in senior housing and healthcare assets. Ixchell Duarte was named CFO and treasurer, and John Starr was named COO for both REITs, effective Wednesday, Feb. 7. Duarte and Starr are replacing Kevin Maddron, who has resigned from his positions as CFO and COO for both REITs to become the chief investment officer for Foster Senior Living, a privately held seniors housing development and management company that manages eight senior housing communities on CNL’s behalf. Hunt Mortgage Group last month hired Kathryn Burton Gray to the role of head of health Care and senior managing director. In her new role, Burton Gray is responsible for overseeing Hunt’s financing and private placement activities in the health care sector, which includes real estate proprietary bridge lending and FHA loans, according to the firm’s website. Prior to joining Hunt, Burton Gray worked for finance companies including CIT Group, GE, Finova Capital, and most recently Red Capital Group/ORIX. Integral Senior Living has promoted Mandy Luther to the position of regional director of sales and marketing for its new venture, Solstice Senior Living. In her new role, Luther will oversee Solstice Senior Living’s west division and lead sales and marketing efforts for a portfolio of 12 communities. Luther was previously the regional director of sales and marketing for the provider’s managed communities. LifeSpan Network, a senior services provider association located in Columbia, Maryland, has named Meg LaPorte to the role of director of communications and marketing, according to a press release. LaPorte previously served for nine years as managing editor of Provider magazine, which is owned by the American Health Care Association (AHCA). She also is an adjunct instructor at the University of Maryland Baltimore County. Health Dimensions Group has hired Pamela Klingfus, Kristina Guindon and Dawn Wold to serve as manager in consulting services, regional director of operations, and clinical nurse consultant, respectively. 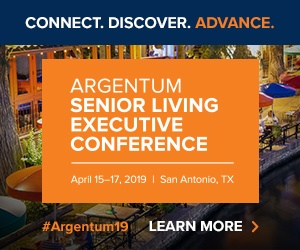 These hires are the latest move in the firm’s efforts to grow its senior living management operations and expand its consulting expertise, according to a press release. Integrity Housing has named Ruby Dhillon as its new vice president of development, according to a press release. In her new role, Dhillon will spearhead the firm’s efforts to source and evaluate new development opportunities. Integrity Housing has developed, owned and operated thousands of affordable multi-family housing units throughout the U.S.
Allegro Senior Living has named Nic Scheibel to oversee its new 87-unit assisted living and memory care community slated to open later this year in Richmond Heights, Missouri. Before Allegro named him as an executive director, Scheibel held director positions across a wide range of communities, including those that offered skilled care, assisted living and supportive living. EPOCH Senior Living has hired Mena Tuccinardi as life enrichment director of Waterstone at the Circle, a luxury independent living community in Boston. As life enrichment Director, Tuccinardi plans and coordinates entertainment, events and outings for residents. Prior to joining EPOCH, Tuccinardi held the role of vibrant living director for a Massachusetts-based senior living provider. Benchmark Senior Living has named Tasha Thomas to the role of harbor care director at its New Pond Village community in Walpole, Massachusetts, according to a press release. Thomas, who joins Benchmark with nearly a decade of managerial experience in memory care support and health care, is set to oversee the community’s soon-to-be completed Harbor Care Memory Center. Prior to joining New Pond Village, Thomas ran two memory care units at an assisted living community in Vermont. The Harbor Care Memory Center is part of an $8 million investment project at New Pond Village meant to expand its independent and assisted living services and offer memory care.